If you or a loved one have been diagnosed with a serious illness, you may have the option of taking part in a clinical trial of new medication, surgical approach, or medical device. 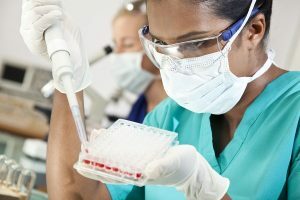 Before you decide to be part of a clinical trial, however, it’s important for you to understand the possible benefits and risks. Getting the answers to ten important questions can help you make an informed decision. Most people have heard about clinical trials for new treatments for cancer, but there are trials for a much wider range of diseases and conditions. For example, researchers at the Mayo Clinic are starting a phase 2 trial of an adult-stem cell-based treatment to repair the damage that a heart attack does to the heart muscle. Another recently completed trial examined the safety and effectiveness of an antibody-based drug for the treatment of severe allergic asthma, while a third trial explored the effectiveness of acupuncture for the treatment of low back pain. There are also trials that focus on the prevention of disease and the accuracy of diagnostic tests. Clinical trials use human volunteers in research studies to answer specific questions about promising new or experimental drugs, vaccines, and other therapies or diagnostic tools. These trials are required as part of the process of getting Food and Drug Administration (FDA) approval to allow the treatment, test or device to be used in the United States. Like any medical treatment or procedure, clinical trials can offer benefits and also pose risks to the people who take part in them. If you have a serious, life-threatening or rare health problem and none of the standard treatments have improved your condition, clinical trials can provide you with access to new treatments that may offer hope. In addition, when you take part in a clinical trial, you usually receive a higher level of attention from the research team than you might from a medical provider while undergoing standard treatment. In terms of risks, there is the potential for unforeseen serious side effects and the treatment being investigated may be less effective than the current standard treatment or not effective at all. What is the scientific rationale for conducting the trial? In what phase is the trial? How many participants will there be? What is the intervention and what is its duration and schedule? Will some participants be part of a control group that receives standard treatment or a placebo instead of the experimental treatment? What are the possible risks, side effects and benefits? What medical tests and follow-up tests will participants undergo? How often? What are the endpoints (measurable outcomes that indicate an intervention’s effectiveness)? It’s also important to know who will oversee your care during the trial and what his or her qualifications are, who you can ask questions of during and after the trial, and whether you will be responsible for the cost of any of the required tests or treatments. You should carefully review the protocol with your physician or talk with a health advisor who can help you understand what the trial entails and what potential risks and benefits it includes. With your questions answered, you’ll have the information you need to make an informed decision about whether taking part in this clinical trial is a path you want to pursue.